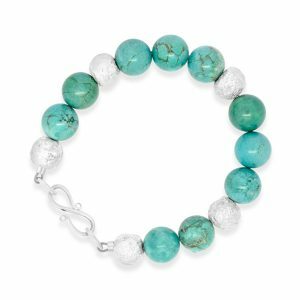 Turquoise has been known by many names, but the word turquoise dates to the 17th century and is derived from the French Turques for “Turks” because the mineral was first brought to Europe from Turkey, from mines in the historical Khorasan Province of Persia. 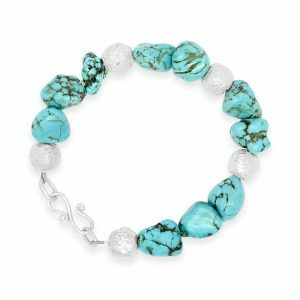 Turquoise is rare and valuable in it’s finer grades and has been prized as a gem and ornamental stone for thousands of years owing to its unique hue. 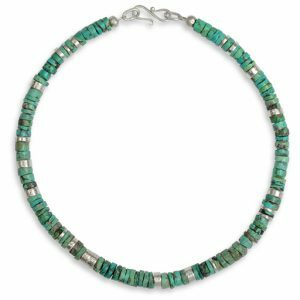 Turquoise was among the first gems to be mined, and many historic sites have been depleted, though some are still worked to this day. These are all small-scale operations, often seasonal owing to the limited scope and remoteness of the deposits. Most are worked by hand with little or no mechanisation. 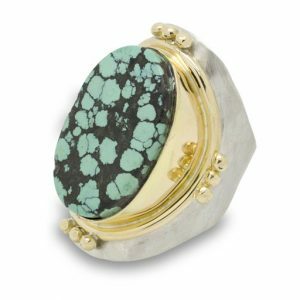 In many cultures of the Old and New Worlds, this gemstone has been esteemed for thousands of years as a holy stone, a bringer of good fortune or a talisman.The oldest evidence for this claim was found in Ancient Egypt, where grave furnishings with turquoise inlay were discovered, dating from approximately 3000 BCE. 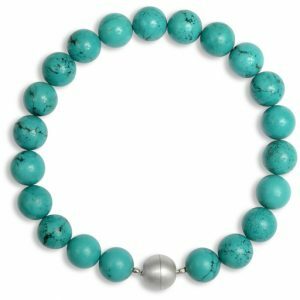 In the ancient Persian Empire, the sky-blue gemstones were earlier worn round the neck or wrist as protection against unnatural death. If they changed colour, the wearer was thought to have reason to fear the approach of doom. Meanwhile, it has been discovered that the turquoise certainly can change colour, but that this is not necessarily a sign of impending danger. The change can be caused by the light, or by a chemical reaction brought about by cosmetics, dust or the acidity of the skin. The turquoise we use most now is from Chinese mines. These beads tend to be quite small in size. 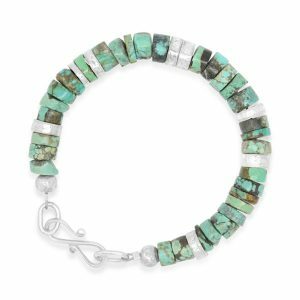 For the larger beads you will see here we use a compound called “turquoise matrix” which is made from smaller pieces of the gemstone bonded together and then cut. You can sometimes see the separate pieces in the beads that go to make them.